GUESS WHO IS THE NEXT BOXER IN TOWN! 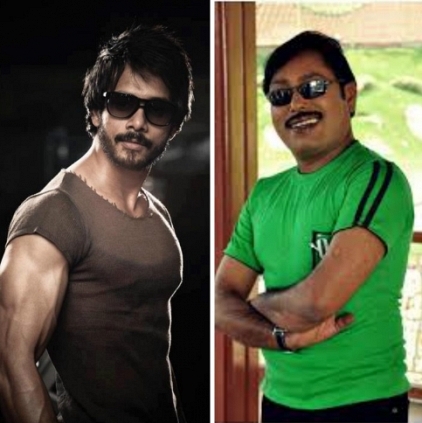 We had reported to you that actor Bharath will be playing the antagonist in Vijay Milton’s next directorial venture. This film is touted to star Rajakumaran, actress Devayani's husband as the male lead while Radhika Prasiddha of Kutram Kadithal fame confirms being the female lead. The recent update about this project is that Bharath might don the character of a boxer for this feature and is getting trained under boxer Raju who trained Ritika Singh for Irudhi Suttru. Boxing has indeed garnered a lot of attention from Tamil filmmakers, thanks to the success of films like Bhooloham and Irudhi Suttru. People looking for online information on Bharath, Vijay Milton will find this news story useful.